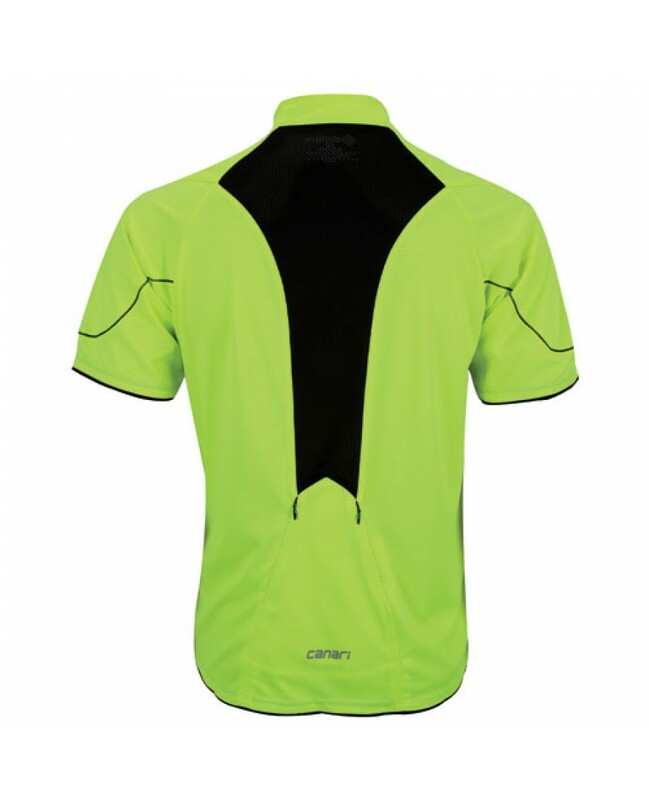 The Canari Sport Mens cycling jerseys is made out of Drycore fabric wicks moisture to keep you cool and dry. Mesh panel in back enhances cooling airflow. 1/2 Zipper. Two zippered rear pocket for all your essentials. 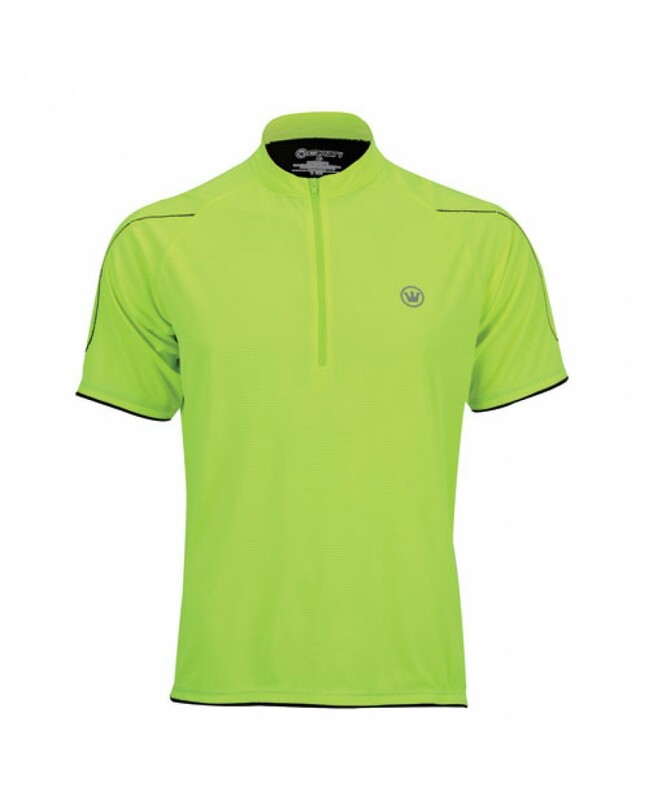 Reflective logos for added visibility.